When you need Orange County movers with extensive experience and resources to cover the needs of your home – no matter the size of your household – count on the experts at Coast Valley Moving & Storage. Since 1972, we’ve been proudly serving area homeowners as the reliable Orange County moving company you can trust to put you and your family first. Whether you’re moving into a larger home to accommodate your growing family, downsizing for retirement, moving across town or across the country – we’re the movers in Orange County that can get you there with ease. As an agent for Wheaton World Wide Moving, we’ve got the tools and resources of one of the largest carriers in the moving industry to take care of you and your family, no matter what your moving needs are. 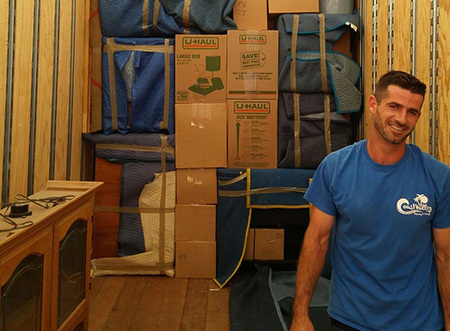 Here at Coast Valley Moving & Storage, we understand how hectic and stressful a move can be. That’s why we’re dedicated to providing you with excellent customer service and expertise you can rely on. When you need to move your family, trust Coast Valley Moving & Storage to be your experienced Orange County movers. Contact our friendly staff and find out how we can help make your moving experience simple and easy!